36cm X 24,5cm, colour woodcut. Inscribed „Hand Selbstdruck“ and signed „ottolange“. 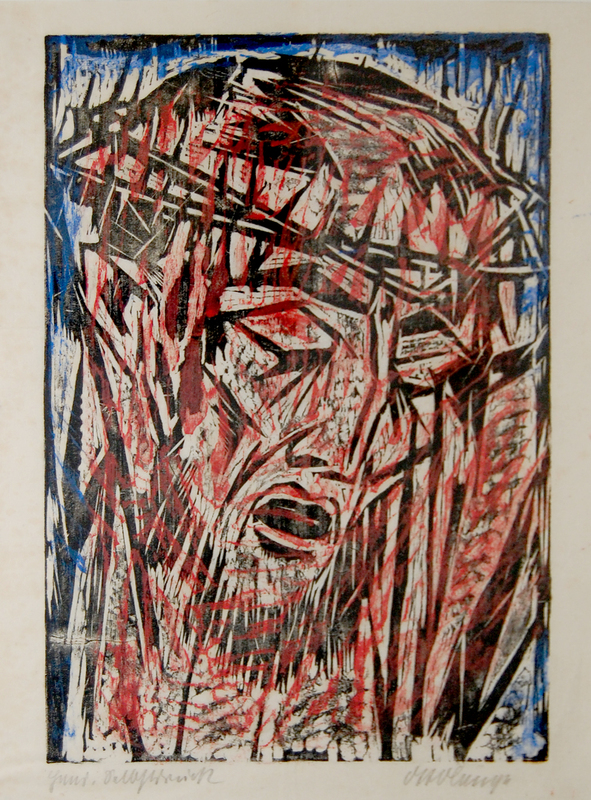 The „Head of Christ“ is described by Dr. Walter Mueller-Wulckow in Boettgers Catalogue raisonne of OTTOLANGE from 1919. Otto Lange was born 1879 in Dresden. He started out as decoration painter followed by studies at the Art academy Dresden as master student of Otto Gussmann. were confiscated in the campaign „degenerated art“. Two of his works were shown at the „Degenerated Art“ travelling exhibition in 1938. Lange died in 1944 due to an infection after an operation.